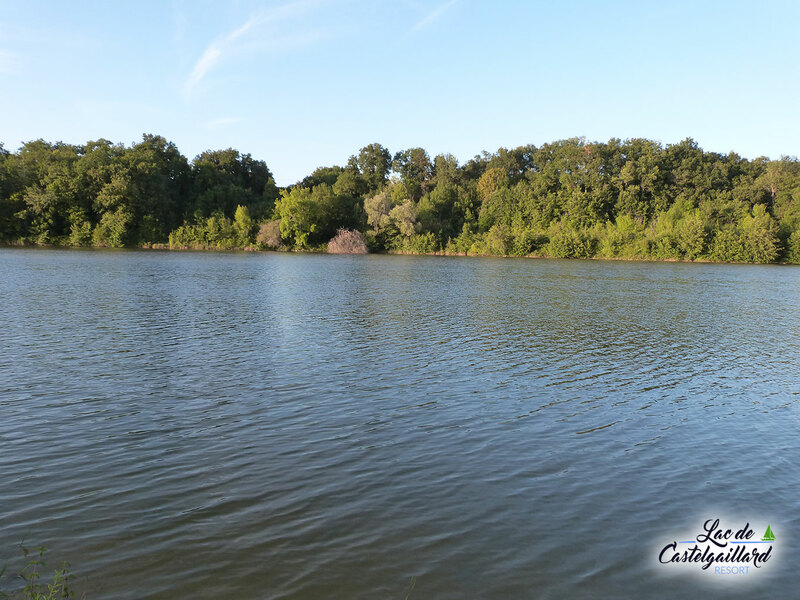 The Lac de Castelgaillard Resort wish to provide excellent accommodation units for their property investors. With many styles of accommodation on offer ranging from 20m² units to 100m² units, all of these holiday homes in France will easily accommodate four/six people. The larger units could accommodate 8 people. Our vision is that families will purchase these outstanding holiday homes to provide holidays for their family and friends, but also to rent out to other holiday makers. Each holiday home will have its own wooden terrace and balcony due to the climate enjoyed within this beautiful area of France. You will soon discover that your terrace will be an essential part of your holiday living accommodation, whether it will be used for dining, relaxing or entertaining. Le Lac de Castelgaillard will not place any strict rules with property owners and their desires to sub-let the property. If our property owners desire, we will happily help them market their holiday rental by placing their announcement on our website, allowing you to gain maximum exposure for your holiday rental. The Duras area is a very popular region for Europeans and Internationals to visit. Investing and renting out your holiday unit could be a lucrative investment if you desire to rent out your property. On average a family of four pay around 800-1200 euros per week in high season for properties with a pool in and around Duras. Other coastal holiday resorts are known to charge around 1300 euros per week for their 25m² units. From the 400 holiday units we would like to build, 90 of them, we propose, will be situated adjacent to the lake taking in spectacular views of the lake and surrounding countryside. We believe that these holiday homes in particular will be extremely popular and are likely to be the first plots that are reserved. That is why we believe that investing in our Holiday resort from an early stage will guarantee you one of the best views on offer. Uniquely too, we would also like to construct 25 water bungalows that will be situated east of the lake. 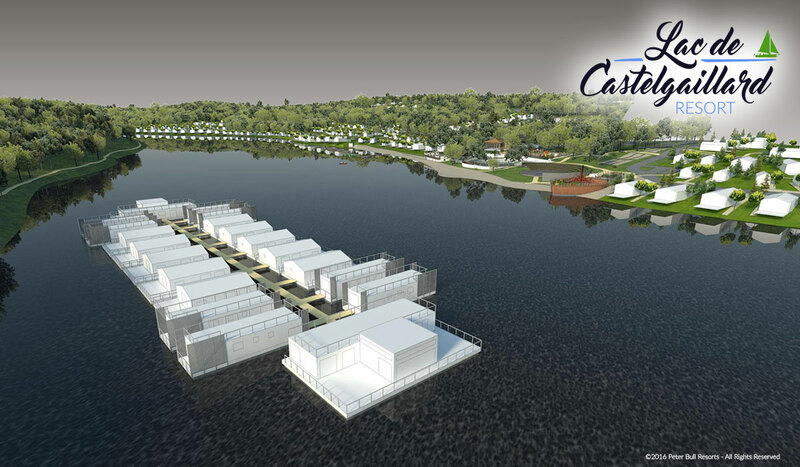 The only way to access these amazing units, situated on their own pontoon, will be via a rowing boat. Again, we hope that these will be our top sales units due to their individuality, their rentability and the tranquillity and peace that is on offer to guests who stay there. Our vision is to provide families with a wonderful holiday experience. We truly believe that once the resort is operating to its full capability it will be a flagship to other Holiday companies that wish to open and develop such resorts in France. For more information, go to Reservations and Sales.